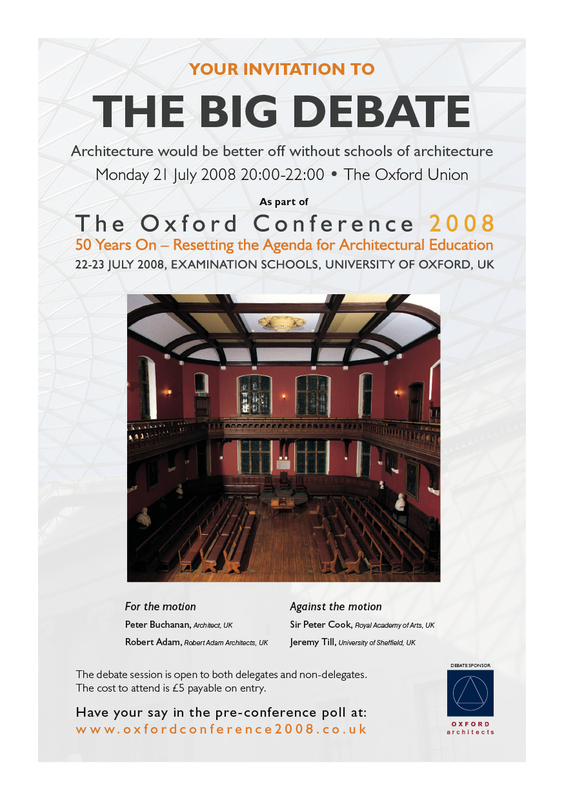 The Oxford Union Debate ‘Architecture would be better off without Schools of Architecture’ will take place on Monday 21 July 2008, 20:00- 22:00. The debate session is open to both delegates and non-delegates. The cost to attend is £5 payable on entry. Click here for directions to the Oxford Union (link opens in a new window).